Suzuki Volusia Forums : Intruder Volusia and Boulevard Forum > The Welcome Lobby > Site News And Happenings > VolusiaRiders Mobile App! Just a reminder for those of you who rely heavily on mobile devices for internet browsing. Volusiariders.com does have a mobile app available through the iTunes store for Apple products as well as the Google Play store for Android devices. 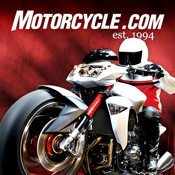 To find it just search Motorcycle.com App, instal and enjoy. There is both a paid and free ad supported version.